When Jesus said, I am the true vine and my father is the vinedresser” (NKJV), the people who originally heard it had a better grasp of what it meant than we do. I believe this because who would have thought these 11 words would ring so powerful and answer the question: Why do bad things happen to good people? Do I have your attention yet? It is difficult for us to handle when we plan for things to go well and they don’t. It’s equally difficult for us to handle uncontrollable situations. It’s hard for us in this privileged society to not get our way. I’m speaking of real life scenarios like cancer, Alzheimer disease, death or simply the inability to get people to do what we think they should do. John 15:1 addresses this problem. You see, everything we have comes from God. But this scripture informs us that as long as we are a part of the true vine, we’re good to go. Outside of the true vine we are nothing! This is the easy/obvious part. Now to the shouting part! 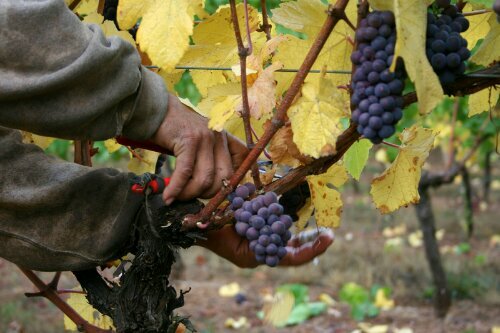 While Jesus, in his role as the true vine sustains us, the Father (vinedresser) prunes us in one of two different ways. The first pruning is when the vinedresser cuts the branch all the way to the edge or cordon, at which point he doesn’t expect fruit for that season. This is equivalent to the job you thought was right for you only to find out you didn’t get it. God saved you from something and should be thanked for it. Or we were at a comfortable place in life and some calamity happened. This type of pruning is designed to make us better/stronger. It’s also what the apostle Paul meant when he wrote Romans 8:28. The second type of pruning is when the vinedresser does an assessment and determines that the direction of your life is going to a place that is too much for you to bear. This type of pruning is very common in the wine making industry because if a branch bears too many clusters not only does it break, but some of the grapes become sour. We know that God promised not to give us too much to bear and he is faithful to that cause (1Cor. 10:13). So why do bad things happen to good people? If they are really a part of the true vine, then God is simply pruning them. Just stay with the true vine and you’ll be fine! Previous Post Thank God! Spring is here!